When I was stationed in Okinawa in the early '80's, I bought a Minolta XG-1 35 mm SLR. I also bought a Minolta Weathermatic. I still have both. At that time my favorite subject was - you guessed it - military aircraft. Shooting subjects other than aircraft provide a chance to pick up some experience with framing subjects, position of the sun and the benefits of a polarizer. (Reading up on photography never entered my mind.) I still have many of the pictures and have digitized them to prevent the aging process to the prints. My mind does enough of that for me, I don't need any help. During the Military phase of my life, I was able to take many pictures. The Weathermatic was a world traveler with me. For a 110 - it was phenomenal. The Weathermatic was with me through the winter survival AF training program through the first Persian Excursion and many placed in between. For 12 years it performed without a problem. I fell away from the hobby for a number of years during my transition from Military life to the corporate world and move to Michigan. I tried to do something with aerial photography for a while, but that although fun did not work out. So now my bike travels always include the Nikon. I have a nifty backpack carrying case that is very comfortable while riding. I shoot in RAW. For the most part the only enhancements I make is an auto-fix feature in Adobe Elements. 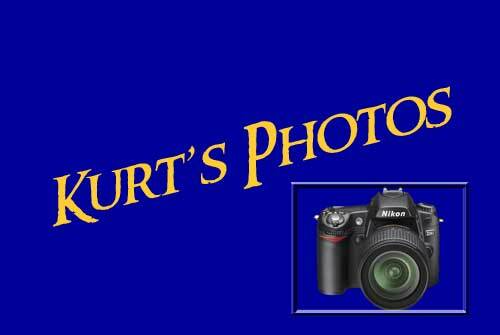 I use an online gallery feature in Photoshop to display the photos on a web page. Update: December 2009 - I'm currently using Elements 6. I've been playing with HDR (High Dynamic Range) processing using Photomatix. I haven't done any creations yet, although I've come close with the GRUNGE setting. For photos that will go out for public viewing, at the lower end I use the Exposure Fusion. Realistically, I could use Elements for any of this work, but with Fusion I can get whites, darks and midtones done quicker and much more consistent. For processing RAW files to me this is a must have. For HDR I have yet to really dive in as for now I'm using one RAW file to create the image. (Frankly, that is all I have!) The process has help out quite a bit with the flat skies that are prevalent in Michigan. The GRUNGE setting morphs the image to what looks like a painting. For many of the shots that I took this past fall - it really worked out well.